Last month, President Obama took the podium at Everglades National Park to publicly address the seriousness of climate change. That he chose the world-famous River of Grass as the setting for his Earth Day speech was no accident: Rising ocean levels and other effects of climate change threaten the very existence of this landmark park. President Obama gives an Earth Day speech at Everglades National Park. Photo © Cara Capp/NPCA. In my role leading NPCA’s conservation programs, I could not agree more. Climate change is one of the most serious threats confronting our national parks, and its impacts are compounded by other stresses such as pollution, habitat loss, and underfunding of resource protection programs. The good news is the Obama administration has already begun work to address many of these problems. But with only 20 months remaining, time is running short. As the president noted, these are problems now that can’t be left to the next president or the next generation. The national park centennial in 2016 is a powerful opportunity to secure long-lasting protections for our national parks—one that we can’t afford to let slip by. If the president simply completes national park initiatives his administration has already begun, he can rightfully claim to have been a good steward of our national parks as they enter their second century. Given the broad bipartisan support for national parks, these are not only sound ideas, but achievable ones. Here are the top four issues NPCA is urging the Obama administration to address, with a few examples of actions his administration should complete to help restore our national parks in time for their centennial. 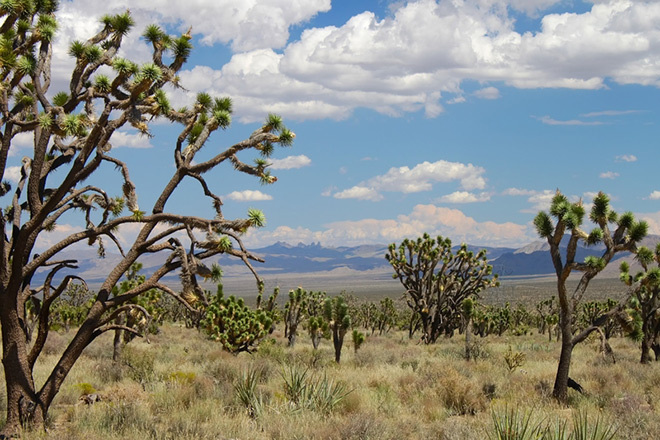 Joshua trees at Mojave National Preserve. Photo © Jason P. Ross/Dreamstime. What he can do: Finalize policies, plans, and actions that promote the long-term conservation of national parks. Death Valley, Joshua Tree, and Mojave. Abundant sunshine and wide-open spaces have made the lands surrounding these California parks a target for numerous industrial-scale solar projects. The administration should stop poorly sited energy projects like Soda Mountain Solar that threaten fragile desert landscapes and critical wildlife habitat, and guarantee that the California Desert Renewable Energy Conservation Plan protects our national parks while allowing for the growth of renewable energy in the most appropriate places. Arches, Canyonlands, Chaco Culture, Glacier, and Mesa Verde. As oil and gas development increases in the Southwest and Northern Rockies, President Obama can ensure that drilling in landscapes that include national parks does not occur until comprehensive plans are in place to protect park air, lands, water, and wildlife. The president can also withdraw leases, like those adjacent to Glacier, that would irreparably harm our parks. Grand Canyon. Many national parks are threatened by large-scale or inappropriate development projects that could change the character of the landscape and overtax public resources such as water supplies and road infrastructure. The Obama administration can stop one of the worst such projects currently under consideration—a massive commercial development project that has been proposed in the gateway community of Tusayan—by denying a right of way across U.S. Forest Service land. Poor air quality at Shenandoah and other parks can pose problems for the health of visitors and park life, as well as visibility. Photo © sborisov/Bigstockphoto. What he can do: Restore national park air and water quality for the benefit of park visitors, wildlife, public health, our communities, and our climate. Voyageurs, Badlands, Shenandoah, and many others. The Environmental Protection Agency enforces laws that mandate air quality improvements in our national parks. EPA’s rules are too weak, however, and as a result, many national parks may not actually see clean air completely restored for centuries. President Obama should direct his EPA to strengthen these rules, speeding air quality improvements in our national parks while reducing threats to our climate and public health. Black Canyon of the Gunnison, Glen Canyon, and Lake Mead are among the nine national park units within the Colorado River basin and depend on its water. Years of drought and increasing demand on water from growing cities threaten to deprive our parks of life-giving water. It will take time to develop a comprehensive plan to protect these parks’ water resources, but President Obama can get things moving now by redirecting a portion of the Colorado River Basin Fund to support research that defines and promotes measures to sustain these jewels for future generations. What he can do: Adopt rules that protect the iconic wildlife that draw so many Americans to our national parks. Badlands, Great Sand Dunes, North Cascades, and Yellowstone. 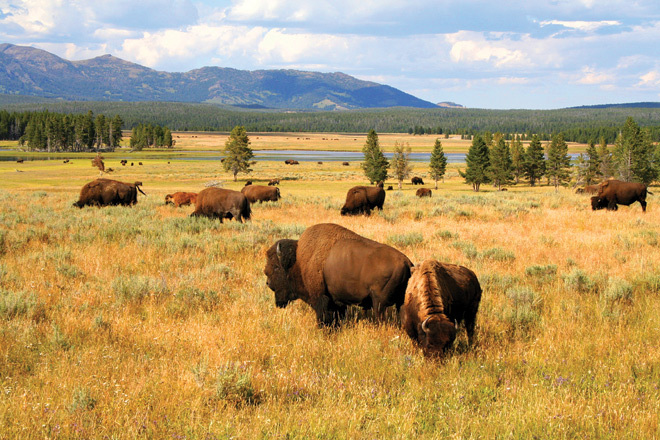 These parks already have plans underway to restore and ensure the long-term health of bison and grizzly bears, two of the most iconic national park species that help define the wild character of the American West. By finalizing these plans, the administration can protect and maintain the health of bison and grizzlies, the ecosystems in which they play a critical role, and the ability of future generations to experience these magnificent animals in our national parks. Biscayne. This South Florida park protects part of the largest coral reef in the United States. These sensitive animals and the dozens of marine species that depend on them are under severe threat due to climate change and human interference. The president can finalize plans to create a marine reserve at the park that will restore corals and other marine animals, as well as revitalize local fisheries. 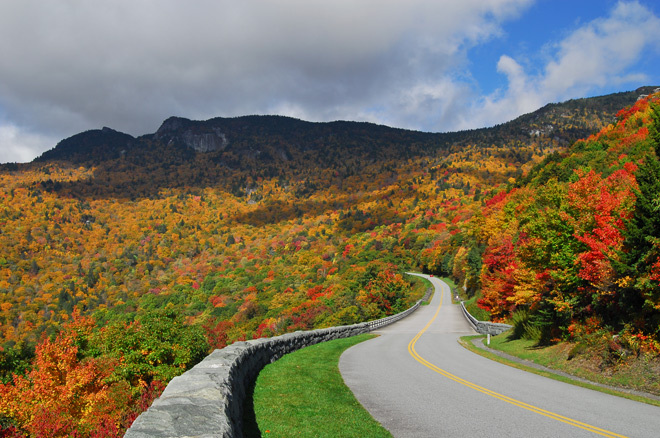 The Blue Ridge Parkway, one of the many roads managed by the Park Service. Photo © Mark Vandyke/Dreamstime. What he can do: Fund national parks sustainably, now and into the future. 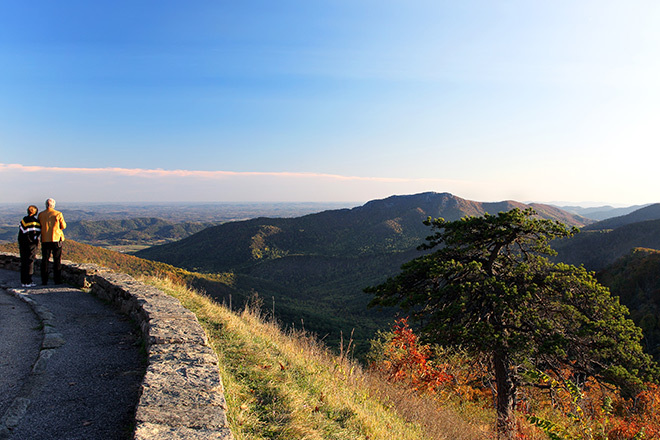 Blue Ridge Parkway, Grand Teton, and many others. The Park Service manages nearly 10,000 miles of roads, many of which are in poor to fair condition, as well as nearly 1,500 aging bridges. The agency simply does not have the funding to keep up with the tremendous maintenance costs required to maintain its many infrastructure needs. President Obama can revise the federal transportation program to provide dedicated funding to meaningfully address this backlog. Acadia, Big Bend, Grand Teton, Pullman, and many others. People often ask how the Park Service can continue to maintain our national treasures with ongoing federal funding challenges. One creative way to provide a dedicated revenue stream is with a proposed Centennial Initiative currently in Congress. This program would match federal dollars with private funding to fund on-the-ground improvements in national parks, such as restoring carriage roads in Acadia and developing interpretative materials at Pullman, among other projects. President Obama can champion this initiative to help speed its enactment in time for the parks’ centennial. President Obama has a once-in-a-lifetime chance to make national park protection a cornerstone in his legacy, ensuring a robust and enduring park system that will continue to inspire generations to come.